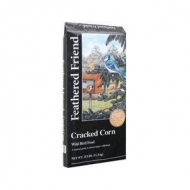 Feathered Friend Cracked Corn wild bird food is a natural grain for birds. Good for ground feeding birds, doves. Size is 25 lbs. 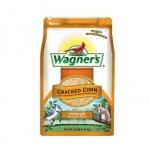 Feathered Friend Cracked Corn wild bird food is a natural grain for birds. Good for ground feeding birds, doves. Size is 5 lbs. Ground feeders delight. Cracked corn is a staple in many wild bird food mixes and is found in many blends. This squirrel food comes in reclosable barrier bags with a Keep Fresh Zip Seal preserve freshness and reduce oxygen penetration. Wildlife Formulas provide premium nutrition for wild birds and other backyard pets. All natural, unprocessed, extra clean, and low moisture to prevent molding.